How was the property furnished? What did my ancestors own? We can help you find the answers. Would you like to know exactly where your ancestors lived, then Slaegtenshistorie can help you. We use old sources such as maps, mortgage records, fire insurance records and we can specifically determine in which property your ancestors lived. The found sources offer a lot of interesting information about your ancestors, so your knowledge of the ancestors is brought to life. In some cases exists the estate still and many of our customers have had the pleasure to see and visit the property. 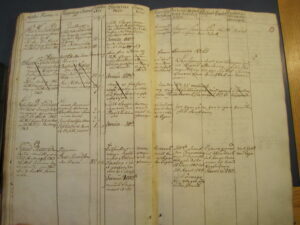 www.slaegtenshistorie.dk works with genealogy on a scientific basis and all completed projects are well documented.